Appearance and performance enhancing drugs (APEDs) are most often used by males to improve appearance by building muscle mass or to enhance athletic performance. 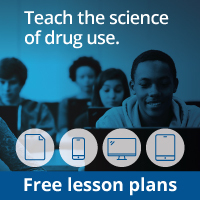 Although they may directly and indirectly have effects on a user’s mood, they do not produce a euphoric high, which makes APEDs distinct from other drugs such as cocaine, heroin, and marijuana. However, users may develop a substance use disorder, defined as continued use despite adverse consequences. Anabolic-androgenic steroids, the best-studied class of APEDs (and the main subject of this report) can boost a user’s confidence and strength, leading users to overlook the severe, long-lasting, and in some cases, irreversible damage they can cause. They can lead to early heart attacks, strokes, liver tumors, kidney failure, and psychiatric problems. In addition, stopping use can cause depression, often leading to resumption of use. Because steroids are often injected, users who share needles or use nonsterile injecting techniques are also at risk for contracting dangerous infections such as viral hepatitis and HIV. Steroids are popularly associated with doping by elite athletes, but since the 1980s, their use by male non-athlete weightlifters has exceeded their use by competitive athletes.1 Their use is closely associated with disordered male body image—most specifically, muscle dysmorphia.